January was an exciting month, as Brittany and Barret joined our team. Every day I am so impressed with their work ethic, how quickly they jumped into their new roles, and their contagious positive attitudes. I hope you get to know them better in the next few months. Last month we held our very first SSN meeting for Linn and Benton counties and were excited to have 40 people join us. I am always nervous to start something new, but we are thrilled with the attendance and hope to see the same again tomorrow when we meet at 9 am at Samaritan Albany General Hospital. Next month is the Salem Health Case Management resource fair and we have reached capacity for that event. Through the registrations, we will raise almost $4000 for Salem area low-income patients in need. 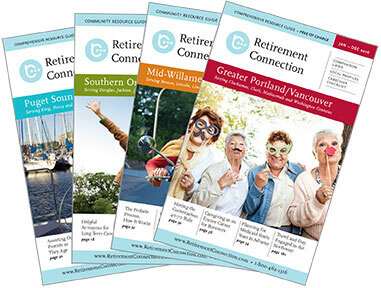 Retirement Connection continues to grow in Mid Willamette Valley and I appreciate all of your support, making us the most comprehensive resource possible.